Improve your exhibits and leads at trade shows! Are you ready to get this trade show on the road? Trade shows require a lot of work, money, and time, but they’re worth it if you do it right. Know the basics to prep for a trade show, put on a engaging performance once you’re there, and end strong with thoughtful evaluation. Don’t miss out on trade show opportunities for your business with this instructive ebook. 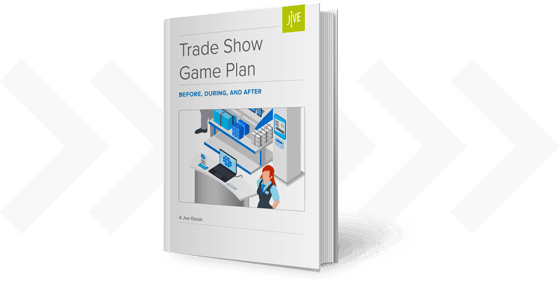 Have a trade show game plan—from start to finish! Attract leads with fabulous swag, and hear buying tips from swag suppliers. Learn about the six common trade show personalities and how to attract them. Download apps to collect lead information, and hear some tips about follow up after a show.